‘Never liked him much, probably never will’ – Trump on McCain, ‘phony dossier’ & ‘crooked Hillary’ | We Seek the Truth! While sending the message that he’s fighting for American workers, US President couldn’t resist the opportunity to take digs at the late Senator John McCain and a former Democratic presidential candidate. 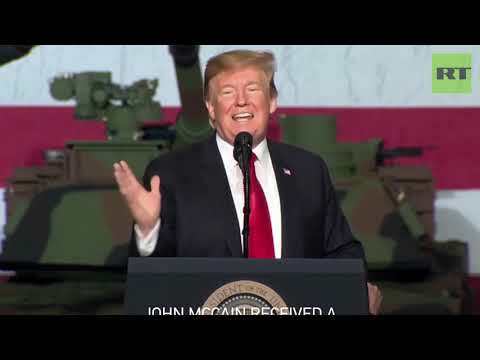 Trump went on a lengthy diatribe against the Vietnam war hero, Arizona senator and 2008 Republican presidential candidate Wednesday. At an event in Ohio, Trump repeated his complaint that McCain voted against his legislation to repeal President Barack Obama’s health care law and argued that McCain was not supportive of military veterans.